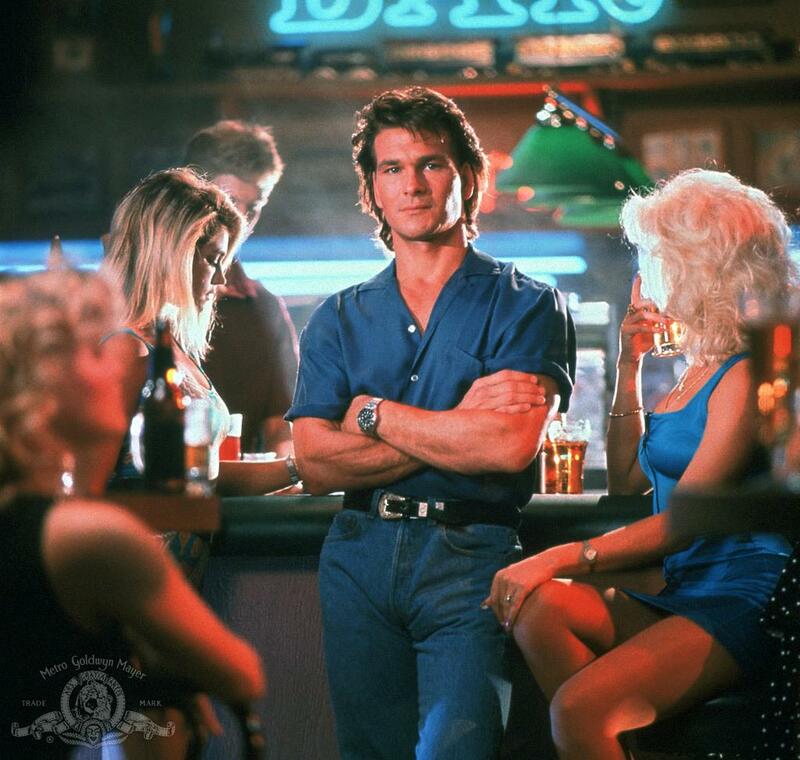 Patrick Swayze in a still from the 1989 movie “Road House.” Courtesy of Metro-Goldwyn-Mayer Studios Inc.
As cases of alleged police brutality garner media attention and ignite protests around the country, it is no surprise that some municipalities have been reassessing how they train law enforcement workers. However, a surprise did come via Larry Celona and Bruce Golding’s February 24 New York Post article about the NYPD using Patrick Swayze’s 1989 action movie “Road House” in a retraining initiative for 22,000 officers. Needless to say, using movie clips is a well-established instructional method. Just take a look at trainingwithmovies.com or even the Christian-focused wingclips.com. Like any instructional device, movie clips need to match the audience need and training objective. What’s your favorite training flick? Do you use movies for training? What are your favorite movie portrayals of training and development? Tell us about them in the comments and, if you can find one, add a link to a video. Blasco P., Moreto G., Roncoletta AFT, Levites MR, Janaudis MA. Using movie clips to foster learners’ reflection: Improving education in the affective domain. Fam Med. 2006;38:94 –96. www.stfm.org/ fmhub/fm2006/February/Pablo94.pdf. I agree with Morgan! In the classroom, video clips are often used. In the work environment, I’ve actually seen more and more animated film clips showing up, to assist in discussing communication, relevancy and business systems (like commerce – think Monsters Inc). Using video clips as an instructional tool is very common in the classroom, and it’s interesting that it’s starting to be used in the workforce as well. Some teaching methods capture attention across all age groups. I was just talking to a friend about this subject but the movie clip with Patrick Swayze puts things into perfect perspective today. This was the positive prospective that really is inline with retraining the police. Training Day with Denzell Washington actually reflected how bad cops can influence good cops, and how to fight this behavior in a neighborhood. I am not saying that that I would use there tactics, just that the message was on point for understanding community building and the police. It’s interesting that only a smart part of the movie was used for the Police training. I guess as long as they got the message that they need to be nice or less aggressive was the highlight. But for 35 million I’m sure they could have come up with some training items much more interesting. That’s a lot of money to spend on training and most of them went to sleep.